Just in time for today's 236th anniversary of American independence, the Library of Congress has opened an exhibition that explores the forging of the culture of the nation. "Books That Shaped America" will run through September 29 at the library's Thomas Jefferson Building, 10 First Street S.E. For those who can't make it to Washington, the exhibit's list is available online here. The library welcomes comments, and nominations for books to add, here. The inaugural list, which contains books published as early as 1751 and as recently as 2002, has much merit. 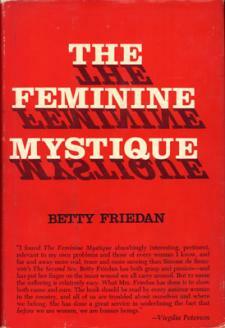 Authors honored include women as well as men, and are not limited to writers of fiction. On the list as well as the novel are the schoolbook and the cookbook, the epic poem and the expedition log, the autobiography and the adventure story. Even a road atlas. Seems unlikely that this is the library's subliminal comment on the American strain of isolationism. It is equally unlikely, though, that the listmakers meant to say that nothing published outside the United States affected the United States. The latter group of books helped Americans, as the Scottish poet Robert Burns put it, "To see oursels as ithers see us!" ► Works by Karl Marx and Friedrich Engels erected an ideological framework that existed in opposition to, and so helped to etch the identity of, American political economy. ► Not only did litigation over James Joyce's Ulysses (1922) create a legal opening for freer expression within the United States, but the work itself helped American authors to free their own creativity. ► For many Americans, The Diary of a Young Girl, as the 1952 U.S. edition was titled, is the touchstone account of the horrors of the Holocaust. 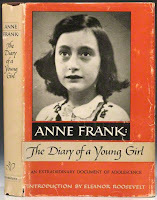 It first was published in Dutch, as Het Achterhuis, 2 years after the 1945 death of its author, Anne Frank, at Bergen-Belsen concentration camp in Germany. 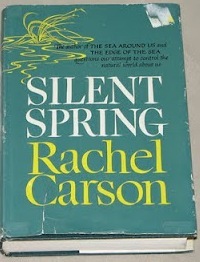 Thus even as we celebrate Library of Congress recognition of our favorite books -- including ones by IntLawGrrls foremothers Betty Friedan (Feminine Mystique, 1963) and Rachel Carson (Silent Spring, 1962) -- we look forward to a richer, more global list of books that shaped America.